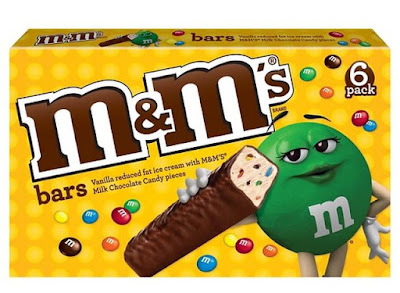 Ready for the summer, Mars Chocolate launches new M&M's Ice Cream Bars featuring chopped Milk Chocolate M&M's mixed into reduced fat ice cream and covered in milk chocolate. Each 2.64-fl oz bar comes individually wrapped with six bars to a box and each box carries a suggested retail price of $3.99. You can also find a single bar at some retailers for $1.79 (may vary).